One of the most wonderful parts of what I get to do is to collaborate with other incredible artists! I love seeing something in another person that I KNOW you will connect with. It is even deeper than that. I love finding in another artist a beautiful and deep love to SHARE their authentic art with others. I am so honored to offer Cherie Wilson’s first online course. Her teaching, guidance, and heart for others will make this a course you will not forget. Please welcome Cherie to our creative network and come and read more about her online course. 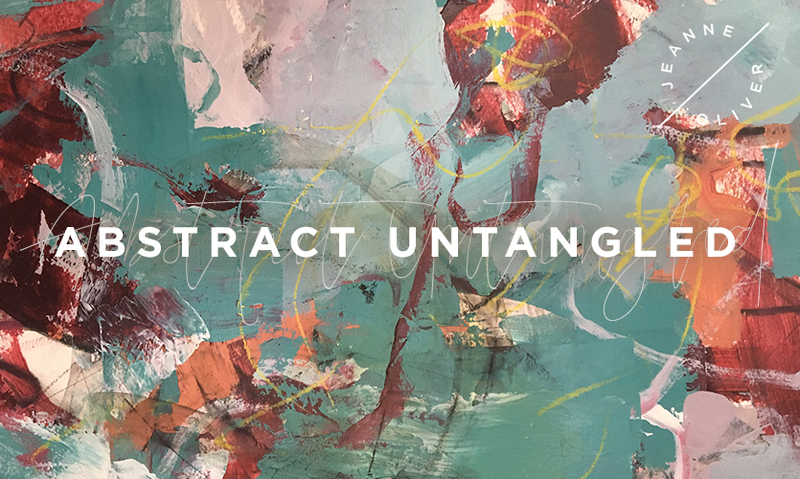 Early registration is about to end for Untangled Abstracts with Cherie Wilson! Four hours of course content, lifetime* access and an early registration price of $32. The price will change to $48 on May 4th @ 10 pm MST and the course will go live on June 4th, 2018. My hope is, that as we complete the class that each of us will have really engaged with the vibrant creativity within us, and seized opportunities for personal growth and even a fresh perspective on not only our art but life itself. 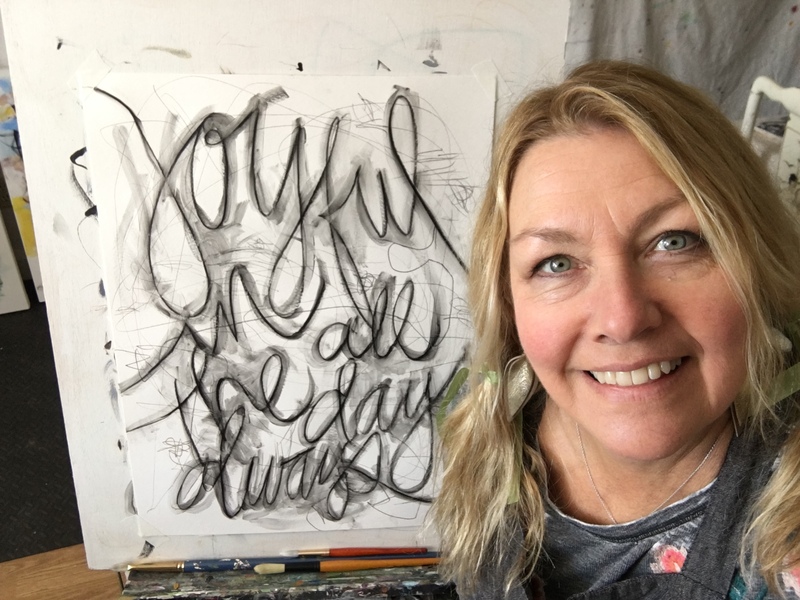 Let me just say, because all of us need to hear this from time to time… You are not wasting time, money, or energy in making art, but allowing your own mental, physical and spiritual self to grow and learn and make connections that words simply cannot. 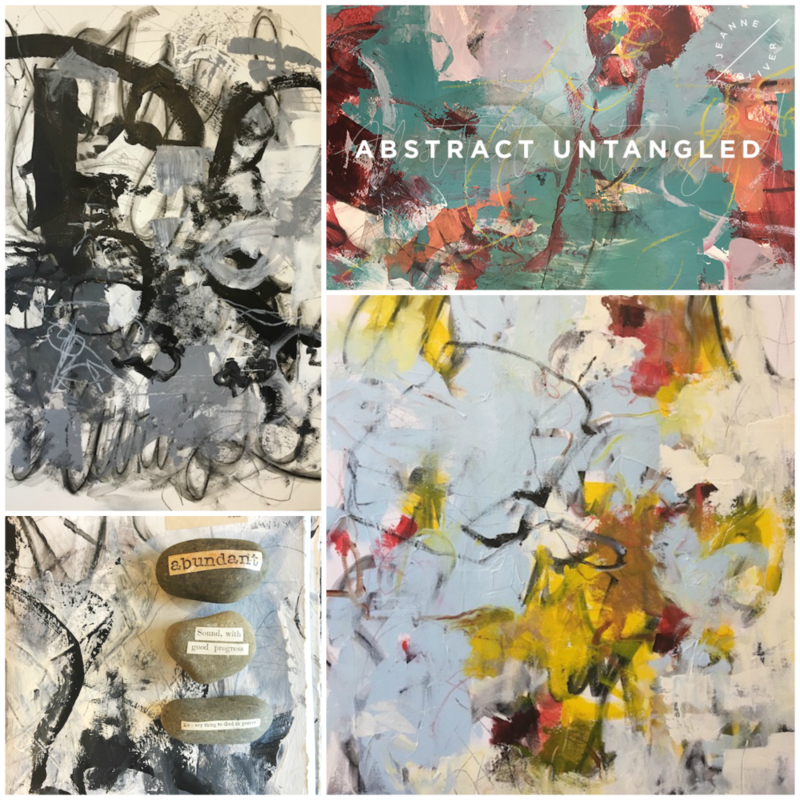 I want to share my own valuable process of finding an inner place of healing and peace through the creative process of abstract art. In this class, we will gently move through several warm-ups and a little introspection. Next, with some simple values with black and white practice, we will move into the exciting world of color. 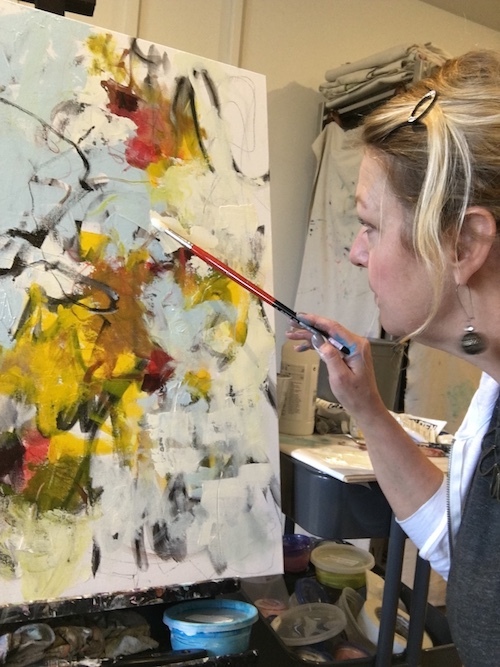 We will create two paper works for practice and demonstration and finally an abstract painting on canvas and use all we have learned in class. Please choose a canvas no smaller than 24″ X 24″ and I hope even larger! After that, a surprise or two at the end that I think will help you along on your beautiful life and explorative art journey. It’s my absolute honor and privilege to be on this creative path with you my friends! Let’s get started.